Barefoot Jason Roubillard is a self-effacing (he’ll tell you he’s lazy…yeah, right) ultramarathoner and one of the main barefoot running dudes in the universe. He’s recently been working on a great series of posts about the whole ultramarathon thing all of which are well worth a read. My jaw dropped reading a recent post. Click on it for detail. Can you believe that? Boston is hardly a blip compared to the Western States Endurance Race, king of the ultras. 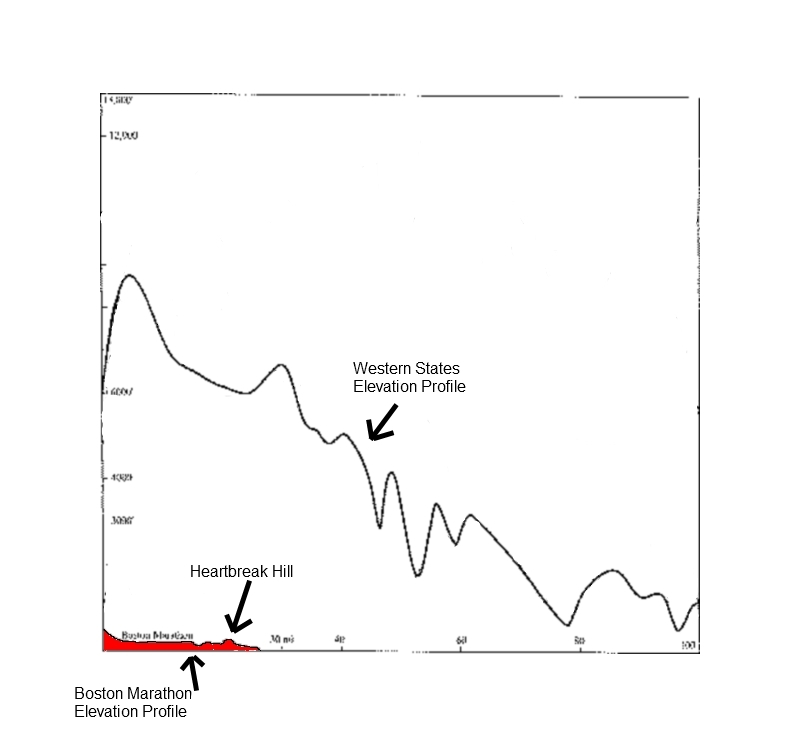 Heartbreak Hill is a joke! I’ll not try to further add to the 1000 words except to plug Jason’s Barefoot University. Also, looking forward to the release of his upcoming book. This entry was posted on March 3, 2010 at 7:44 am and is filed under Barefoot Running, Other Runners. You can subscribe via RSS 2.0 feed to this post's comments. You can comment below, or link to this permanent URL from your own site.